EASO — short for European Asylum Support Office — is the agency of the European Union based in La Valletta, Malta, and is in charge of researching and assisting the Member States in dealing with the massive influx of asylum seekers that reach European soil every day. Despite its very central role within the EU Common Asylum System, the EASO does not yet stand out as the most renowned agency of the European Union — an unfortunate lack of fame, given that the agency takes part in some very relevant tasks that would deserve a much better coverage. In what follows, we will try to outline an overview of the main responsibilities of the EASO, leaving further in-depth analysis to forthcoming articles. In 2004, the Hague Program established a new European agency for asylum support within the broader developing Common European Asylum System (CEAS). After a few years of technical implementation, the EASO became operational on February 1st 2011. Relying on a budget of some 15 million euros and employing a staff of around 80 officials, chaired by the Executive Director Mr. Robert K. Visser, the European Asylum Support Office today leads a twofold activity: firstly, it coordinates training for Member States’ officials working in the field of asylum; secondly, it produces statistical and analytical documents regarding asylum issues in Europe and in third countries. Every year, the EASO engages in several training initiatives for Member States’ officials and the judiciary involved in asylum procedures in their Countries; when needed, ad hoc training sessions are organized to satisfy particular necessities that can occur due to Member States experiencing unusual pressure, as has been the case for Italy, Greece and Sweden over the last few years. 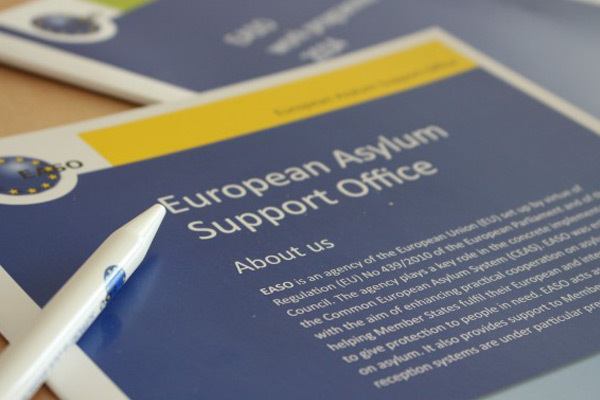 The EASO contributes to Member States’ endeavors in dealing with asylum by offering operational support, which can be either special support, when providing special kinds of assistance, or emergency support, when intervening in situations of great pressure on behalf of certain Member States’ asylum systems. The Asylum Support Office produces Country of Origin Information reports (COI), which are fundamental tools for the asylum determination procedures and are aimed at harmonizing the Member States’ attitudes to the several countries of origin of the asylum seekers. It delivers analysis and statistics, which are the basis for further political decision making at the EU-level. Beyond the Annual Report and the Quarterly Asylum Report, on a regular basis the Agency provides documents in the categories of Early Warning, Preparedness and Crisis Management. Importantly, the Asylum Support Office represents the external dimension of the Common European Asylum System, therefore acting as a key actor in strengthening the ability of third countries to deal with asylum and the reception of refugees. Over the last few years, collaborations with Jordan, Tunisia and Morocco have been established and implemented by leading activities such as workshops, training, meetings and ad hoc seminars with these countries’ officials.